Kentucky traveled to Baton Rouge to take on the Tigers at Tiger Park Friday night. In the hostile road environment, behind great pitching performances, the Cats were able to pull out the victory in game one of the series. 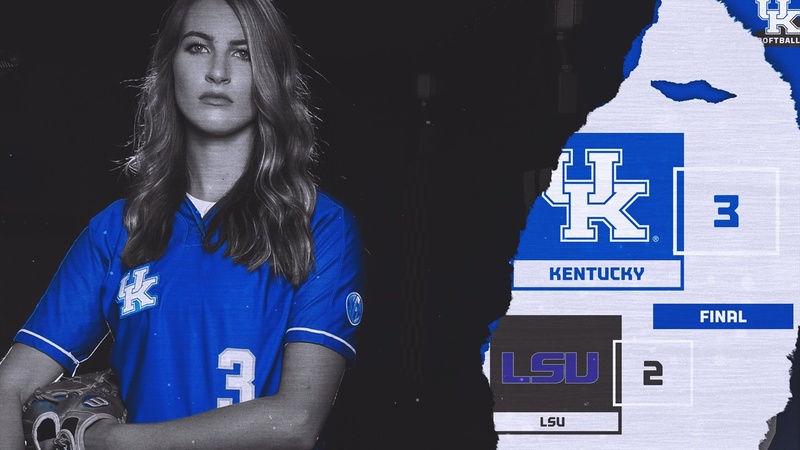 The Cats opened up the scoring in the second inning as Kelsee Henson hammered an RBI double into left center followed by a single by Lauren Johnson to bring Henson in to score, (UK 2, LSU 0). The Tigers answered right back by scoring two runs on a Kentucky error in the bottom of the third to tie the game, (UK 2, LSU 2). With two runners on in the fifth, Kayla Kowalik singles up the middle to bring home the winning run. Kentucky returns to action Saturday at 2 p.m. ET. The game can be seen on SEC Network Plus.